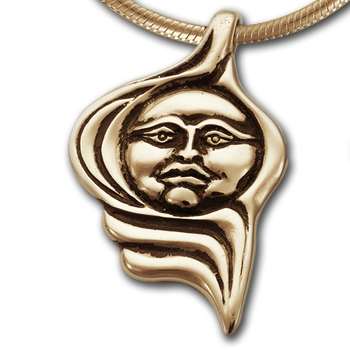 Bold and beautiful, the long graceful lines of this lovely, 14k gold goddess pendant are distinctly feminine. Designed by Irish artist Mary Fitzimmons, she is bezel set with a 7mm gemstone of your choosing. 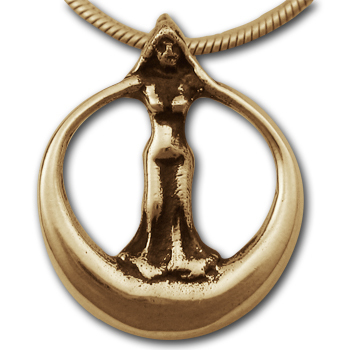 Detailed both front and back, she will make a great addition to your goddess collection!